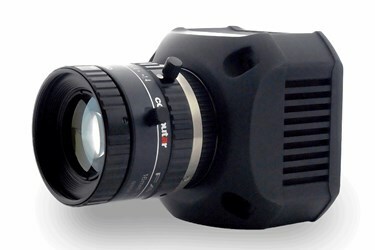 The NIT SWIR 320x256 and 640x512 resolution camera modules are capable of digital video outputs in USB 2.0 or Camera Link® formats, and analog NTSC/PAL video is available in the Smart version. The InGaAs photodiode array features a patented readout integrated circuit (ROIC), which is proven to be highly functional for fast, triggered imaging applications such as range-gated imaging or synchronous illuminated imaging. All NIT cameras operate in the SWIR spectrum from 900 nm up to 1700 nm with high quantum efficiency, and are easily exported under EAR. The SWIR family of cameras is fully calibrated when delivered, and includes software and cables in shock-proof cases. For more information on NIT’s WDR InGaAs-SWIR products, download the New Imaging Technologies (NIT) Brochure.